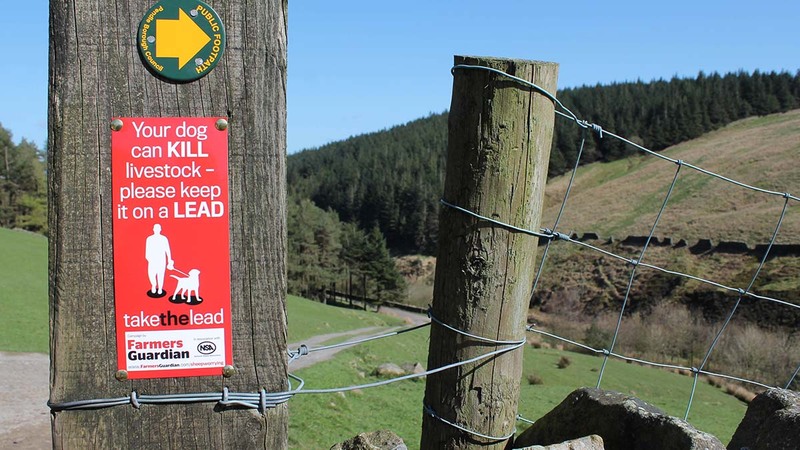 With four years of success under its belt, Farmers Guardian’s Take The Lead livestock worrying campaign has continued to lead the way on raising awareness about dog attacks. The campaign, launched in April 2014, has gained huge industry backing over its time, helping to raise awareness among the British public about livestock worrying and speaking up for our readers’ concerns. And as the UK basks in the sunshine this May bank holiday weekend, what better time than to reiterate the shocking statistic that seven per cent of dog walkers admit to letting their pets chase livestock. We have 1,000s of free Take the Lead gatepost signs to give away as part of the campaign. FG editor Ben Briggs said: “Despite several imitation campaigns rearing their heads this year in other publications, Take the Lead remains the original best. Since its launch, FG has teamed up with Farming and Countryside Education (FACE) and the National Sheep Association (NSA) to take the campaign into schools, teaching children about the impact of dog attacks and the importance of keeping the family pet under control around livestock. As part of FACE’s Countryside Classroom initiative, more than 25,000 key stage one and two pupils in 750 schools have heard the Take the Lead message through an educational package used as part of the syllabus. ‘I always take the lead’ stickers have also been handed out to help strike up conversations with their families when they return home. Such awareness is paramount considering the 67 per cent jump in claims over the last two years. To get involved with the campaign on social media, use #FGTakeTheLead. Farmers Guardian’s Take the Lead campaign has been backed by a wide range of high profile rural groups including the Women’s Food and Farming Union, British Horse Society, Lake District National Park, Countryside Alliance, Farmers Union of Wales, NFU Scotland, NFU and NFU Mutual, The Farming Forum, CLA, Ramblers and the RSPCA.